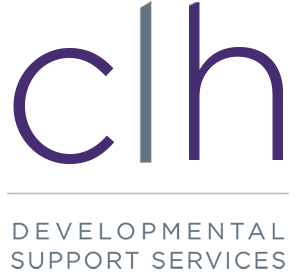 Hi I’m Kim and I volunteer with CLH Developmental Support Services (CLH). Over the last 10 years, I have made many new friends by lending a helping hand in the salon and with the recreation program. I really enjoy working in the salon because I get to help bring my client’s inner beauty outside for the world to see. I love hearing about all my clients’ adventures as they sit in my chair, while I do their hair, makeup and nails; and, by the time I am done they feel and look like a movie stars! I even have a few men who come to see me and we’ve been known to play a hand of cards or two. CLH is part of my life because I believe that community is an essential part of living. I am greeted by warm smiles from both staff and clients from the moment I step through the door. We plan arts activities to showcase our client’s creativity and organize skills-based activities help our clients learn how to cook and to use computers. Each activity helps our clients to develop skills that support their independence, and their ability to succeed by organizing programs and events that bring the whole community together to celebrate the richness of our differences like the Party on the Dock. Often times, people only think of money when it comes to donating. But for me, the most valuable thing I can give is my time. I know that I make a real difference in the lives of CLH clients because they are also my friends. We share our stories of success and trials. We laugh during the good times and comfort each other during the difficult ones. Most importantly, we are there for each other. Because together, we make living in the community of Huronia an inclusive and supportive place that allows everyone to be their best self.